Patients who need cannabis as treatment “have been forgotten”, and before discussing the recreational use of the plant, Malta should prioritise access to more medicinal cannabis preparations, the authorities are being urged. “It is upsetting to be told that I can no longer access my treatment in Malta. 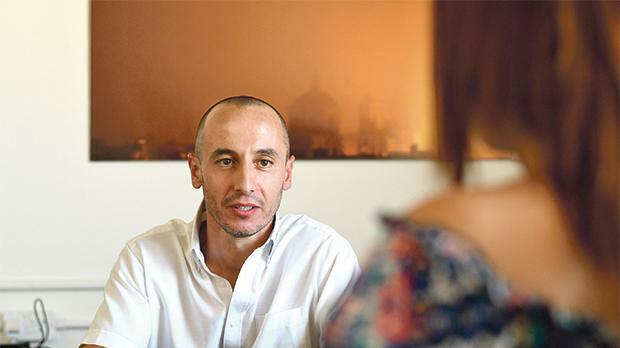 The other options are leaving the island or considering assisted-suicide,” a woman who has suffered from fibromyalgia for 25 years told Times of Malta. Her life, she says, changed “overnight” when she recently started using a hemp extract known as CBD oil, which she could at the time still obtain online or from local health food stores. But three months ago she was told that the oil is illegal. 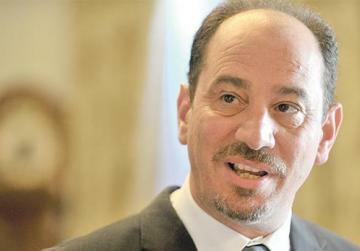 Godfrey Farrugia: Patients need to be treated with different cannabis products. Still, she continues to procure it and make use of it, because since her early 20s the 48-year-old Chanel (not her real name) has tried everything else under the sun, from prescribed painkillers to nutritional diets – but the symptoms either remained the same or worsened. At one point she wanted to try the only cannabinoid licensed under the Medicines Act – Sativex – but was refused a prescription as this is intended only for Multiple Sclerosis patients. Her doctor, Andrew Agius, explained that two cannabis plant components – CBD and THC – can be used to treat fibromyalgia and irritable bowel syndrome, which Chanel also suffered from. The family doctor, who is specialising in pain management, had first recommended CBD oil to a woman who was “reborn after 20 years and returned to work”. He then recommended it to some patients suffering from chronic pain, anxiety and minor metabolic abnormalities such as borderline diabetes. But in May he had to tell his patients to go back to their prescribed pills as he was informed that CBD oil – which he said is legal elsewhere in the EU – was illegal in Malta. Asked about side effects, she said these were much more severe in other treatments, including fatigue, lethargy and eyesight problems. In 2014, Godfrey Farrugia, then health minister and now a Democratic Party MP, had called for the legalisation of short-term personal use of non-smoked cannabis for purely medical purposes. He had urged fellow MPs to listen to patients’ needs and keep abreast of alternative therapeutic options. The Drug Dependence (Treatment not Imprisonment) Act, which came into force in April of 2015, allows registered specialists to prescribe medicinal preparations of the plant cannabis licensed under the Medicines Act, if they believe there is no viable alternative. Following research, Dr Agius started recommending CBD oil to some of his patients last year. In the meantime, he tried to get in touch with the Superintendence of Public Health. When he finally managed to arrange a meeting with them last May, he was told that CBD oil is illegal and he should stop recommending it to patients. Anyone in possession of the substance would be breaking the Dangerous Drugs Ordinance. Likewise, Dr Farrugia had 17 patients on hemp oil and capsules but now they can no longer import them from the European market. As things stand, Sativex is the only cannaboid medicine that a pharmacy can import on a “named patient basis”. The Superintendence of Public Health and Licensing Authority has on more than one occasion refused to approve the prescription because the patient did not suffer from MS, Dr Agius said. Dr Farrugia is calling on the authorities to understand that different patients need to be treated with different cannabis products. While Sativex is very useful for some patients, it contains only two of the tens of cannabinoids found in cannabis. Its dosage form of a sublingual spray makes it a convenient but expensive option for a small number of patients, he noted. Standardised natural cannabis plant matter is much cheaper to produce and the presence of other cannabinoids, apart from CBD and THC, provides the potential for a wide range of therapeutic options. “The government should introduce official licences for the importation and distribution of cannabis, because as it stands, few healthcare professionals are willing to risk breaking any laws by traversing grey areas. We have wasted two years,” Dr Farrugia said. He noted the existence of cannabis extracts produced under Good Manufacturing Practice guidelines, such as Bedrocan. This is currently the only company in the world that produces standardised medicinal-grade cannabis for a number of international governments. In 2003 Bedrocan was contracted by the Dutch government to produce and supply medicinal cannabis varieties. Still, exaggerated claims and misinformation about the plant cannabis should be countered by facts and evidence from the medical community. The glorification of alternative medicine and self-medication (of cannabis) should be discouraged, Dr Farrugia said. Dr Agius too is calling on the authorities to allow different types of medicinal cannabis, adding that all products should be tested and certified safe before being allowed in dispensaries, a system used in the US. He also believes that all doctors should be allowed to prescribe medicinal preparations of cannabis so long as they have some form of continued medical education in the subject. Questions sent to the Health Ministry remained unanswered by the time this newspaper went to print.